We are just beside ourselves tonight with excitement because we got word that the doe we entered into the ARBA National Convention was placed as Best Opposite of Breed! It is such an treat to have your animal selected for this honor and it’s not something we expected as we waved goodbye to our transporter last Thursday night! This particular doe was bred by Nick’s Nibblers in California — Nick’s Nibblers had Mad Hatter stock to get started in Silver Fox and we traded for Zelos earlier this year. Since she came out of Mad Hatter lines we felt it was still ok to send her as our entry, typically we wouldn’t plan to send a rabbit we haven’t personally bred to the National Convention. Boy are we feeling blessed tonight, and grateful for how things turn out! On any given day every rabbit has a serious chance at top honors. Even though we didn’t place as best of breed, we’re still feeling pretty happy about her performance and eager to bring her home, get her registered, and send her legs in to complete her Grand Champion process before we start her down the merry path of motherhood. So many thank yous to so many people who have assisted with the national show! We’re looking forward to seeing how our other rabbits placed, and preparing a welcome home treat for Zelos, our very first nationally winning rabbit! How Do You Find Starter Stock? Asking the right questions is the first step to locating great foundation stock. This is the first part of an ongoing series allowing readers to ask questions about the rabbit hobby. There are no rules or guidelines. Have a question? Ask away! Post your question as a comment on our blog or email oakridgerabbits@gmail.com. Readers are encouraged to share their own ideas or opinions in the comments below. What questions should you ask a breeder when choosing “show” foundation stock? Ah, the age-old question. When you’re starting out with rabbits or starting a new breed, your foundation stock will ideally carry you through the first generations of creating your own line. But it’s easy to get burned by lesser quality animals or fake pedigrees if you’re not sure how to search wisely. The best place to start is ARBA’s recognized breed page, which can be found HERE. From this page, you can click on the photo of any currently recognized breed, and it will take you directly to the breed’s specialty club. To my knowledge, every (or at least most) breed clubs post sweepstakes standings on their website. Sweepstakes is a contest based on show wins, and only club members are eligible. Look to see who is at the top of the list and keep those names in mind. Next, visit the registered breeder directory, which should also be available within the breed club website. Keep in mind that this will only list contact information for breeders who are currently members of their specialty club. ARBA has a more general breeder directory on their website. If you don’t find the name you’re looking for on one, check the other. I would choose about five names of people local to you (or within the distance you’re willing to travel). There is usually an email or phone number listed for contact. How should a newbie, who wants to show their favorite breed, approach a show breeder to purchase stock? 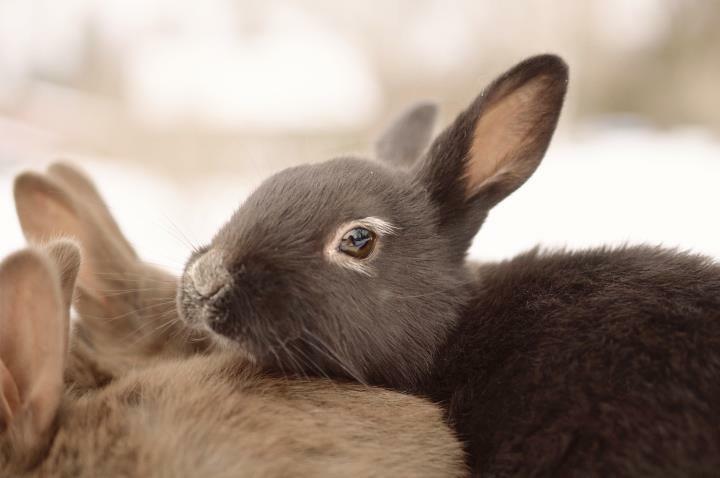 The breeder needs to know exactly and directly what you want the rabbits for. If you just email asking, “Could you send me a list of rabbits for sale?” you’ll probably find few who take the time to respond. Everyone has rabbits for sale at some point in time, but they need to know exactly what you’re interested in. – The number of rabbits you’re interested in buying. – The time frame in which you’re looking to buy. This is all of the information specifically needed to get you started, and I recommend leaving the rest up to the breeder. If they have other questions, they will ask. Mentioning other specifics (wild, unusual colors being a common one) not only narrows your search, but also makes most serious breeders question your intentions. Instead, ask the breeder whether they have rabbits available that meet your criteria. If you are unsure of which color, group, or variety is strongest and most developed – just ask! This is what you will want to start with, and an experienced breeder can guide you directly to it. So, how do you know you’re speaking with someone reputable? This is the golden question because it will reveal the authority in the breed of your choice. Like it or not, the success of every breed is strongly influenced by a handful of very dedicated, very successful breeders. They are the names you’ll see over and over again on pedigrees all over the nation. If you ask five breeders this question, you are likely to find out quickly which lines are “go to” in the breed. If you can (whether they are local or whether you have to arrange transport from a national convention), try to purchase stock directly from those people. If you can’t, try to find someone who has used their rabbits to build their herd. A name doesn’t mean everything, but it does mean a lot. A reputation is something that’s built by word-of-mouth and personal experience. If people, in significant numbers, speak highly of someone in particular, they are likely to be a trustworthy source. If it’s someone no one has heard of or mentions without prompting, it’s generally not a good starting place. I could talk more about this topic, but I think I’ll save that for another day. This is where I recommend starting. From there, many reputable breeders will be interested in helping you learn more. I completely agree about the recommendation to follow breed sweepstakes… and I don’t. We have six different breeds here and are members of the national clubs of only three. Some national clubs have far too many politics for us to want to get too involved right now… or it just isn’t the right time for us to have many memberships… what not. So, while I believe sweepstakes points are one factor in determining a reputable breeder, I would consider it with other knowledge as well. 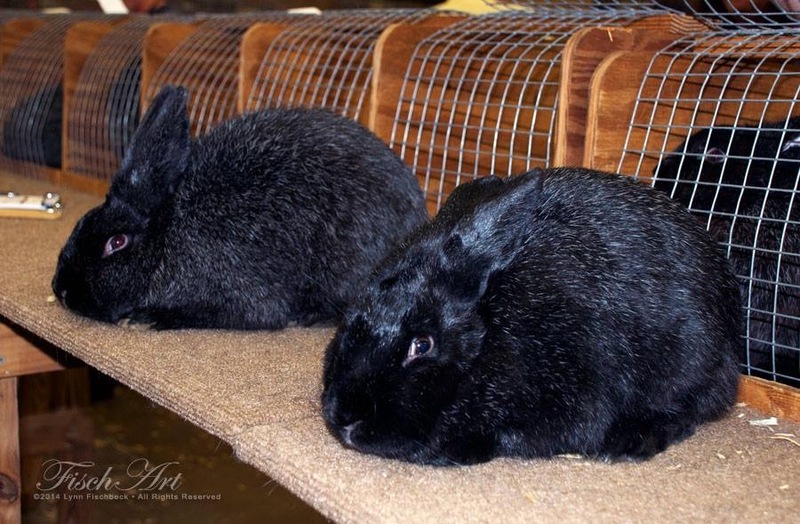 Another research option is to check the Domestic Rabbits publication from ARBA for those owners who have Grand Champion rabbits in their breeds. Being completely clear about your intentions is important! For us, since we raise mostly dual meat/show rabbits this is especially significant around here. 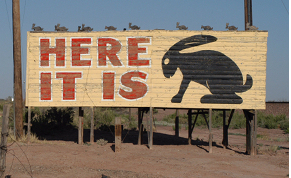 If you tell us you are going to show rabbits we will set you up with the best-typed rabbit we can. If you tell us your entire purpose is for meat we won’t put as much emphasis on show promise as your desired outcomes will likely have more to do with production, making weight by a specific age, and mothering abilities than the length of shoulders or whether their body is conformed to the Standard of Perfection! 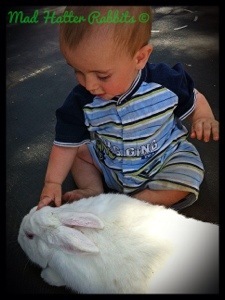 As our rabbitry evolves, we find our attention shifting to those breeds classified as Rare or Heritage. A “Rare” breed is self-explanatory. These rabbits are extremely difficult to find and in danger of extinction. The “heritage” breed classification is monitored by the American Livestock Breeds Conservatory and designates the animals were developed in the United States. These classifications make note of animals that offer something special to the rabbit world and to the United States. 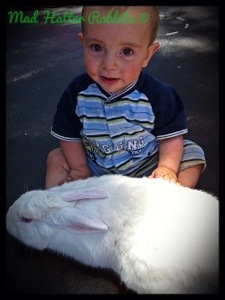 We raise Silver Fox and Cinnamon rabbits and are very proud to do so. Additionally, the Champagne d’Argent is a breed that has flirted with the rare breeds list over the years, although it is very common in Europe. We love the personality of these rabbits and their usefulness as a multi-purpose animal, both cuddly, showable, and nutritious!